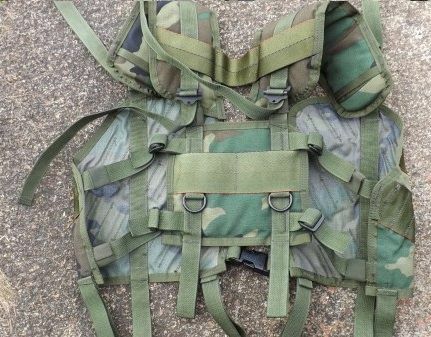 If there was ever ALICE to MOLLE transitional item, this is it. 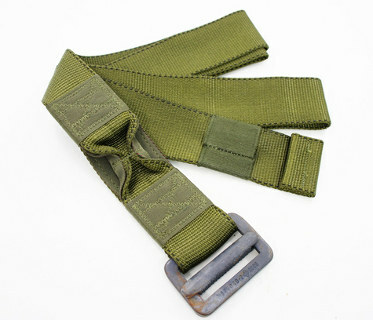 Has MOLLE webbing on the vest but loops for the ALICE belt. 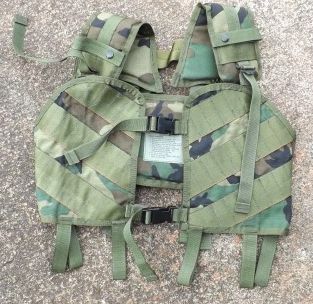 This is obviously a reworked IIFS vest. 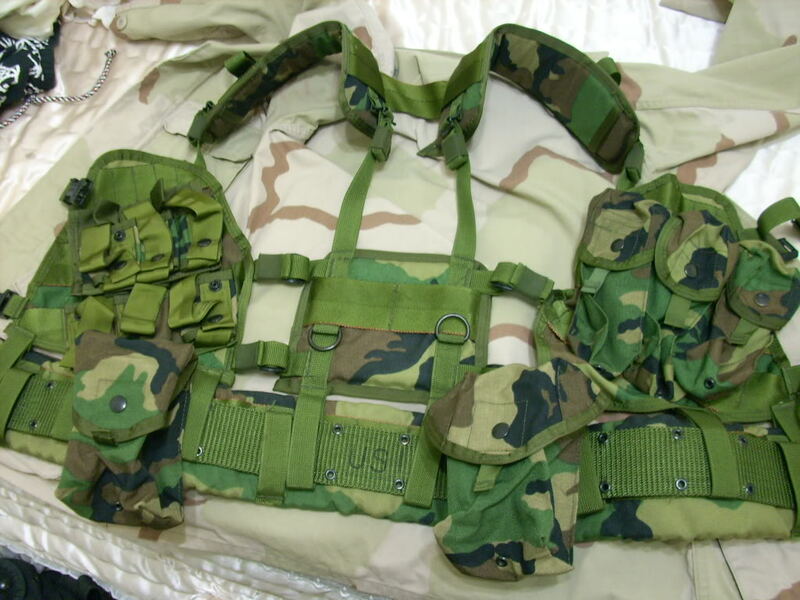 No provision for the buttpack but thats offset in the abillity that you can load the vest with your molle items, and then put your Alice items on the belt. For a special order item these show up frequently. 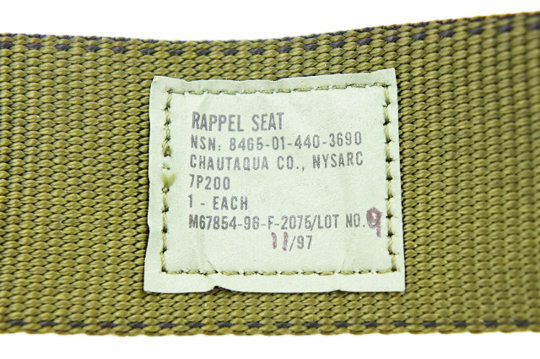 The NSN puts this as a medical item. 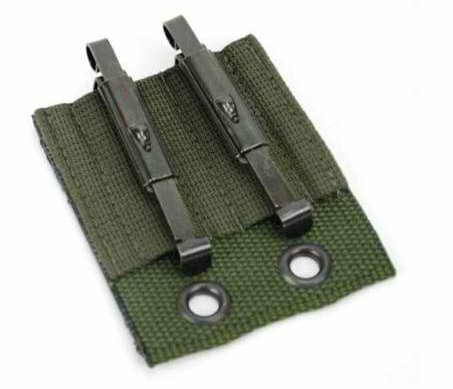 A special set of Load Bearing gear made to be compatible with the Special Patrol Insertion/Extraction system. Sounds complicated. 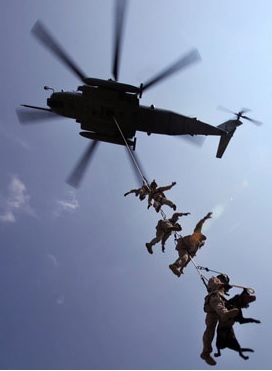 It's basically a system where the chopper dangles the entire squad of grunts from a rope for quick insertion and extraction! 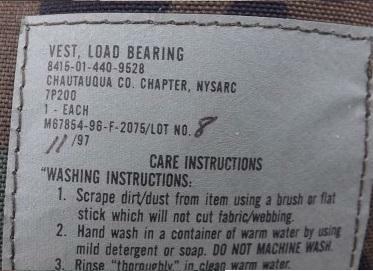 This may be a USMC specific item. 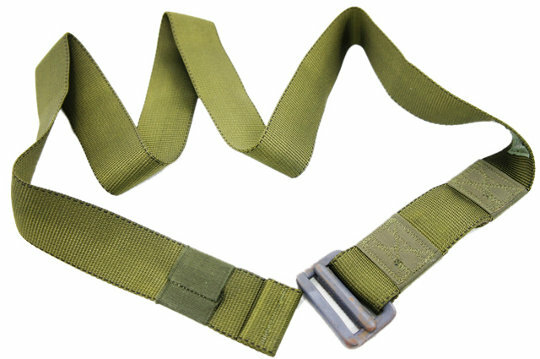 While the above picture shows a pistol belt in the loops, I belive the rappel seat was meant to be in these loops. 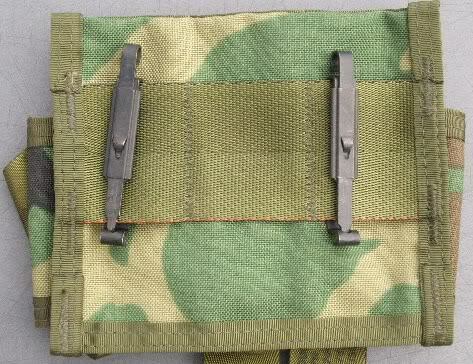 This adapts the German Bundeswehr Flectarn items so they can be used on an Alice belt. 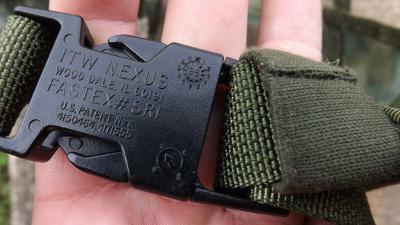 This is a great thing because the germans have a lot of awesome pouches for thier MP5 and G3 as well as a pretty darn good set of pistol holsters.